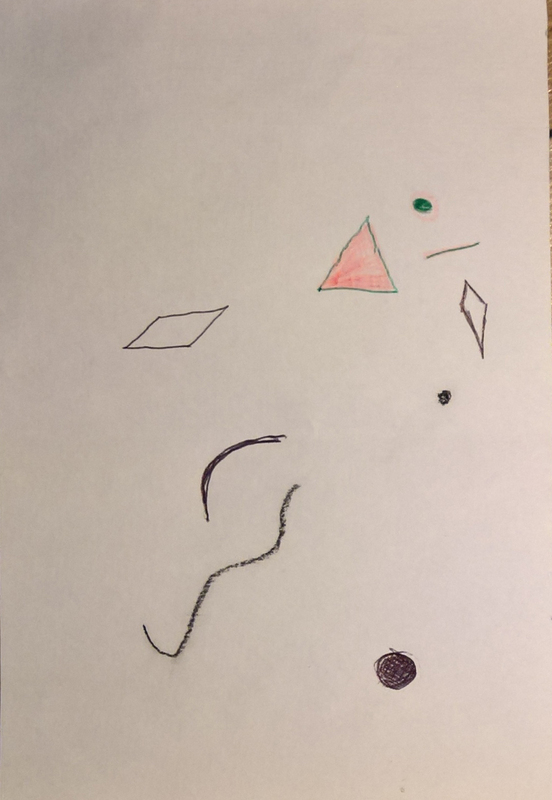 The last task of the course is to do a drawing that takes a passage of time to come to fruition I have invented a game and called it “Kandinsky” as it is about points and lines and planes. 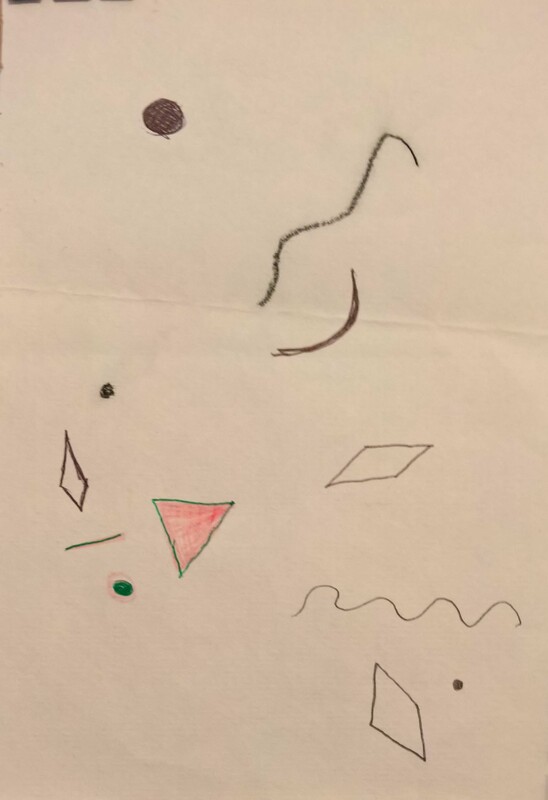 I suppose it is a bit along the lines of Exquisite Corpse, a game the surrealists were fond of, except that it takes longer to play as we will be using the postal service to pass the playing piece between us. It needn’t require great thought, it can be instinctive as you like or be carried out with much thought and take longer, whatever suits you. The rules are exceedingly simple and are on the next page and the playing piece is enclosed. There is no wrong or right answer. Just enjoy it, I think it will last for three of four rounds, and I have gone first to get us going. When the game is over we can have a chat about it but we won’t speak of it till then for fear of influencing the outcome. There are two players, yourself and your collaborator. 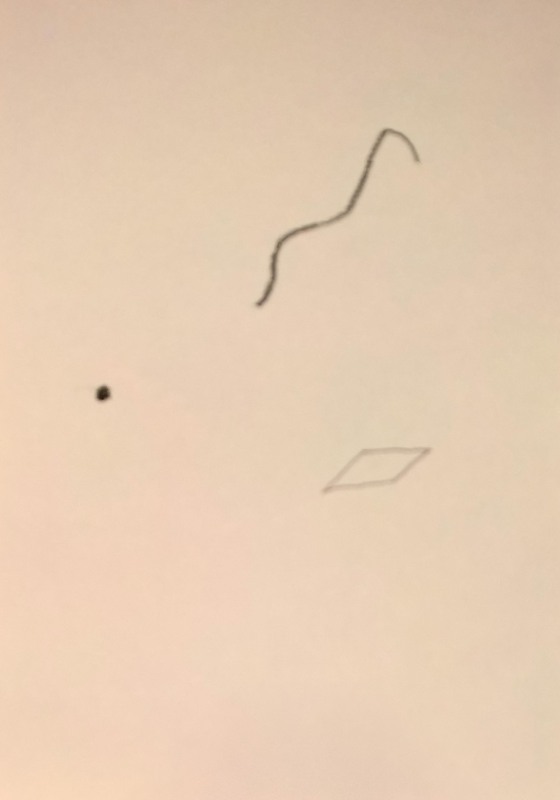 At each turn a player is allowed to make three marks on the paper the three types of mark possible are a point, a line or a plane. You may take as long as you like provided you complete all your marks with 2 days. 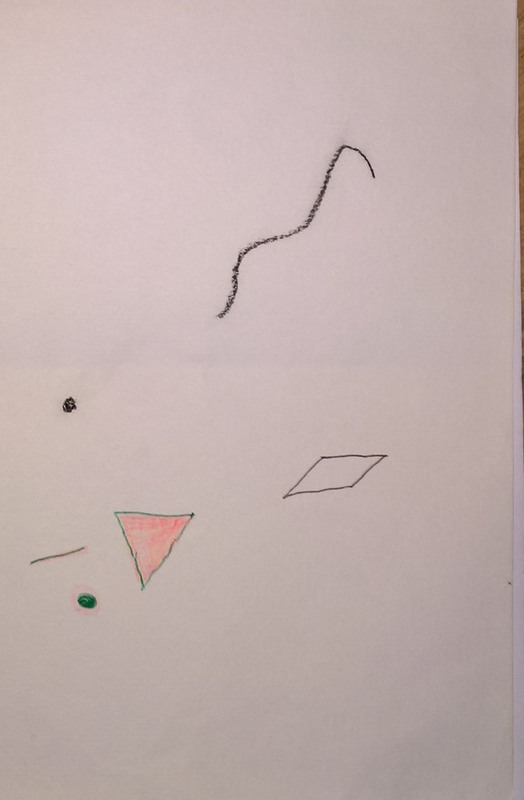 You may use any mark making tool or colour to make your marks. Once you have made your marks, as a minimum put the date of your marks and your signature on the attached sheet and return both sheets to your collaborator in the envelope provided. Your collaborator will make three marks and return the drawing to you. If you feel the drawing is complete say so on the attached sheet before you return the drawing to your collaborator.